Mmmm, Farmer John Dodger Dogs. 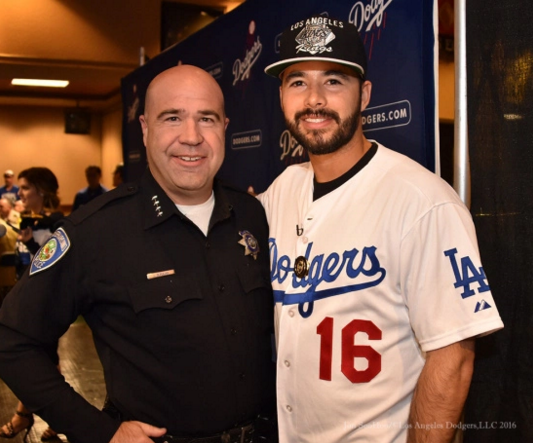 Andre Ethier has participated in countless community events supporting the military and law enforcement, but his appearance at one of Wednesday’s Dodgers “Love L.A.” tour stops was like no other. 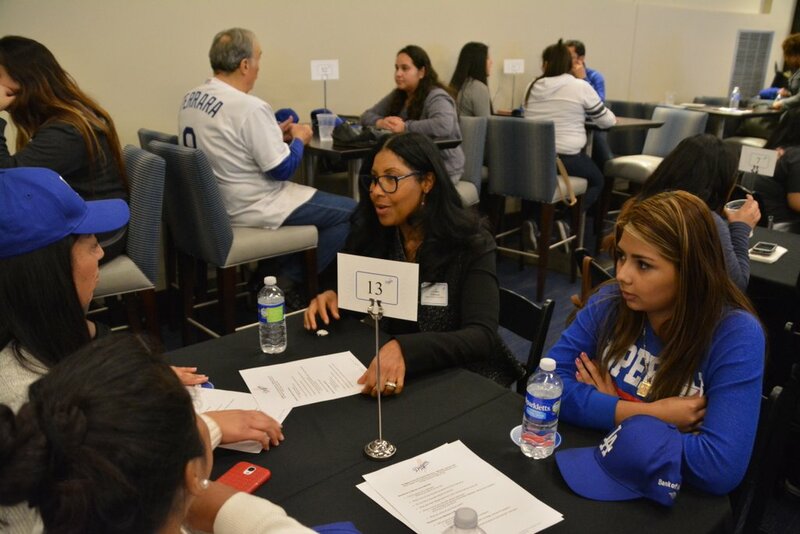 Ethier, Tommy Lasorda and Steve Garvey headed a delegation that had lunch with victims and first responders from the Dec. 2 San Bernardino terrorist attack that killed 14 and seriously injured 22. 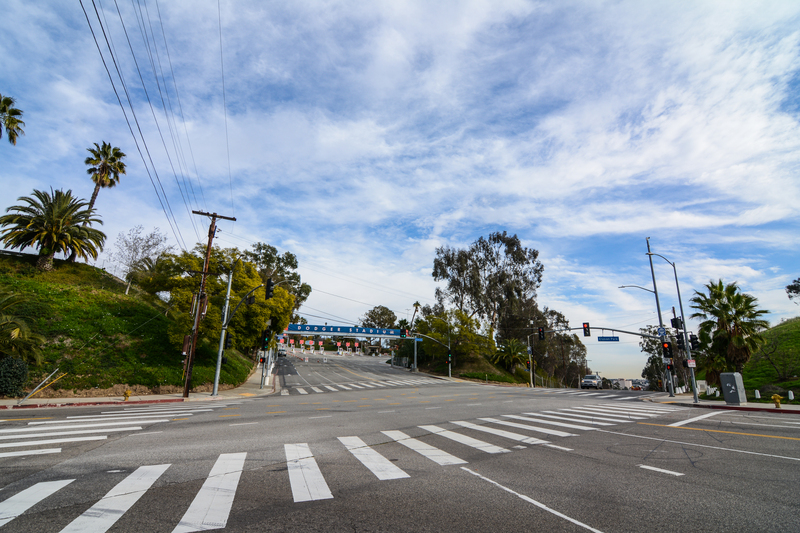 As Ethier saw and heard, the region is still reeling from the shocking tragedy. 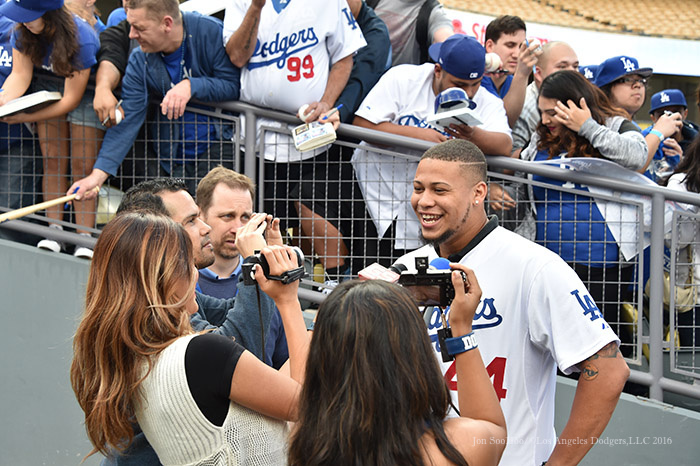 But the outfielder was moved by the long line of autograph seekers — some in uniform, some still nursing wounds — most with big smiles. 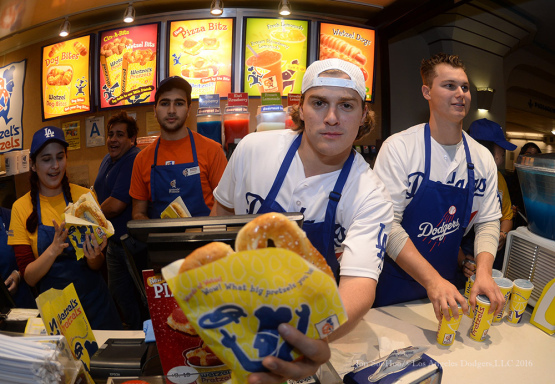 Go to the LA Photog Blog to see Jon SooHoo’s photos from the event. 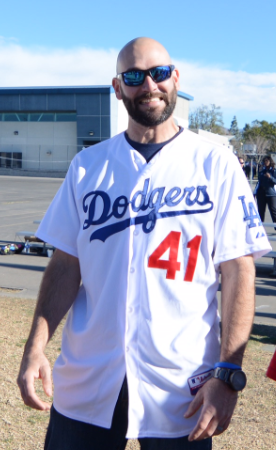 The Dodgers Love L.A. Tour also made a visit to Ocean Park Community Center in Santa Monica, and prepared and served lunch to homeless residents in transitional housing. 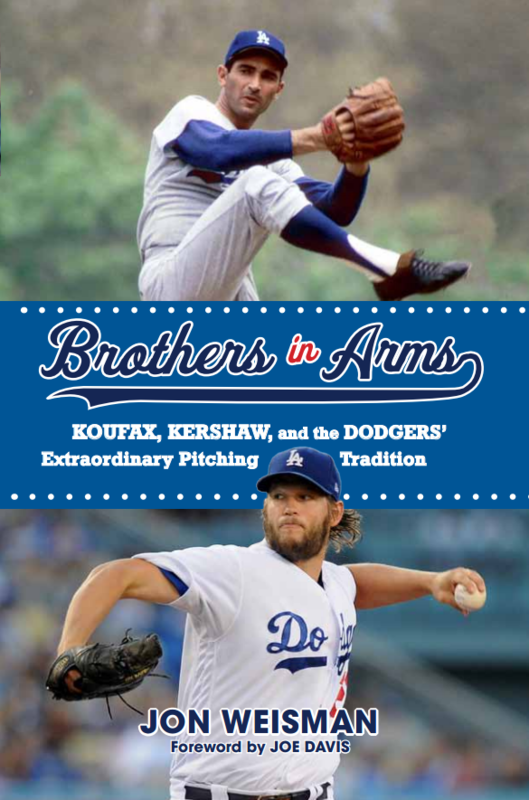 The Dodgers have outrighted pitcher Brandon Beachy to Triple-A, with the right-hander coming to big-league Spring Training at Camelback Ranch as the team’s 17th non-roster player (seven of them pitchers). 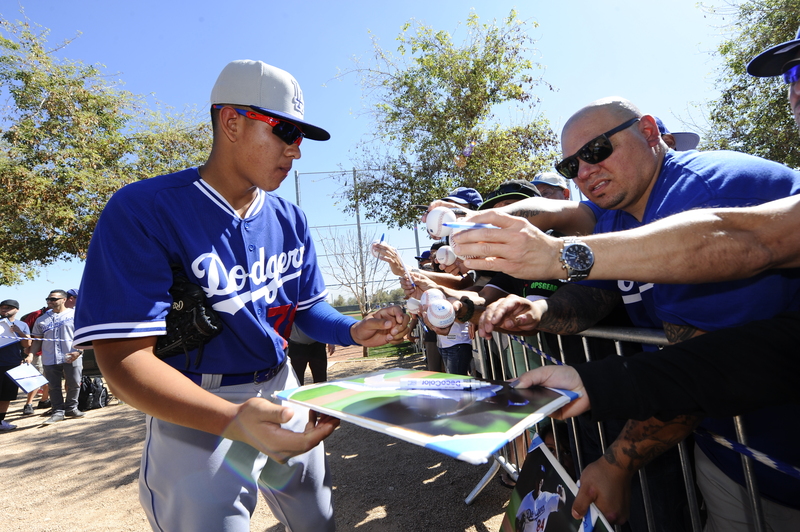 Beachy signed a one-year contract with the Dodgers on January 6. 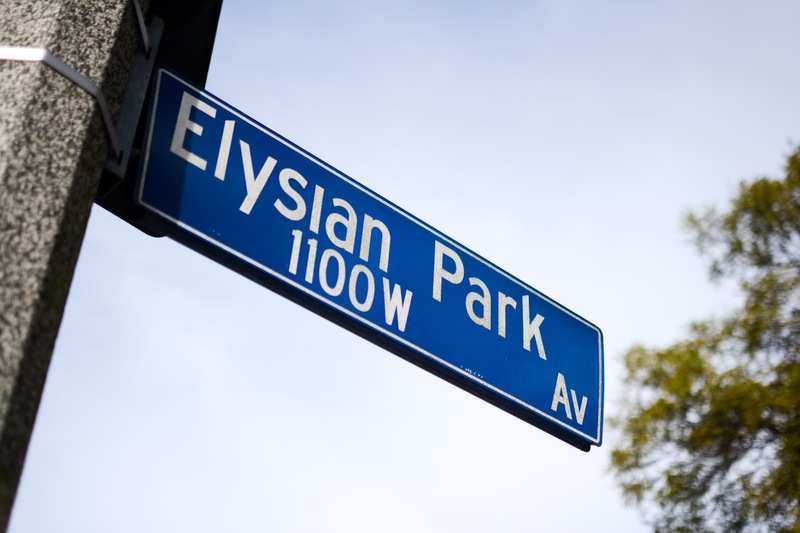 Los Angeles now has 39 players on its 40-man roster. 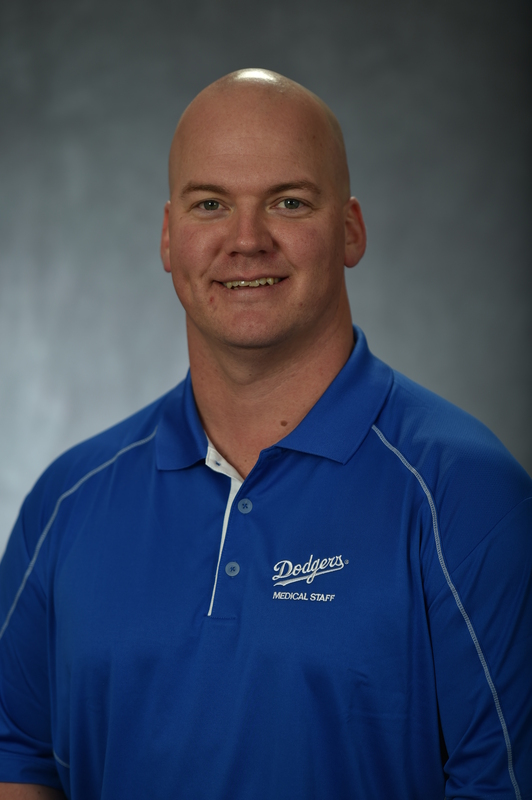 Neil Rampe, who has been the Arizona Diamondbacks’ manual and performance therapist since 2008, has been officially announced as the Dodgers’ new athletic trainer, replacing former vice president of medical services Stan Conte. 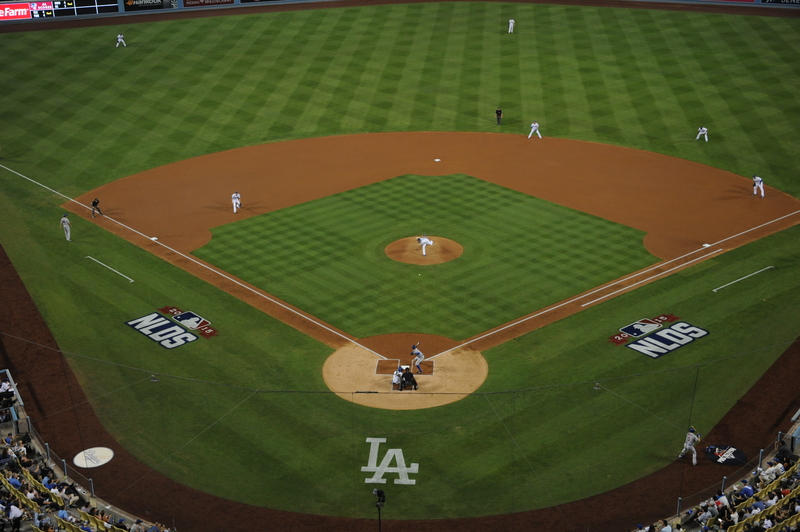 In addition, Nathan Lucero, who has been the Houston Astros’ head athletic trainer for seven seasons, and Thomas Albert, formerly with Cleveland, will be the Dodgers’ assistant athletic trainers. 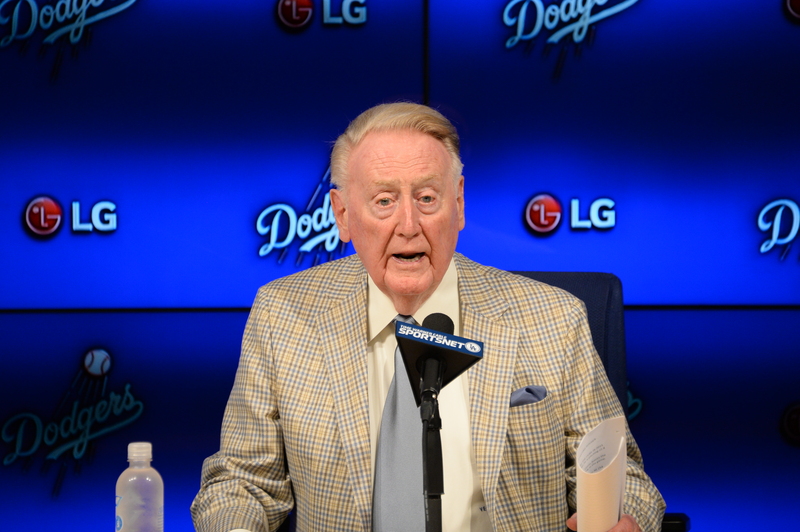 Rampe will oversee all of the Dodgers’ medical programs, including athletic training, physical therapy, rehabilitation and strength and conditioning, as well as the training, strength and conditioning of Dodger minor league players. He began his career as the assistant strength and conditioning coach in the University of Minnesota athletic department, then served as a certified athletic trainer at the Boulder Center for Sports Medicine in Colorado from 2002-03. 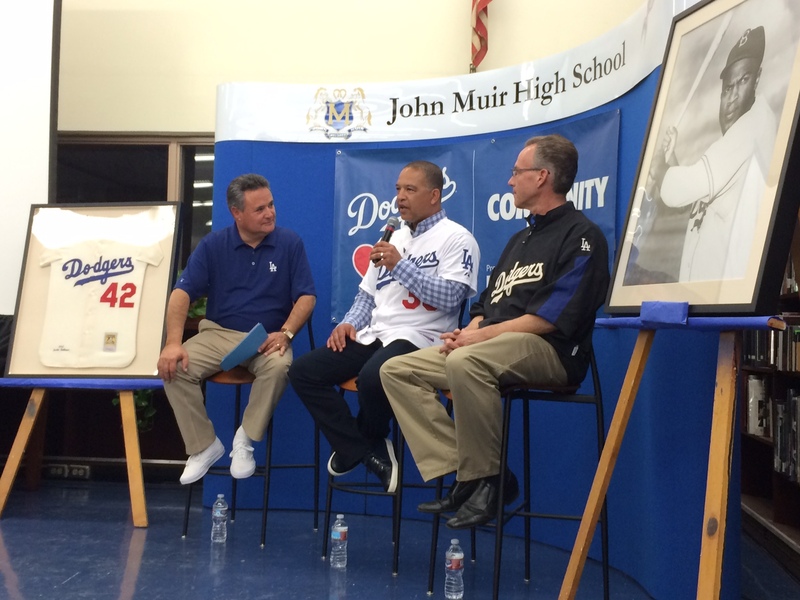 Jorge Jarrin, Dave Roberts and Mark Langill address students at Muir High School. 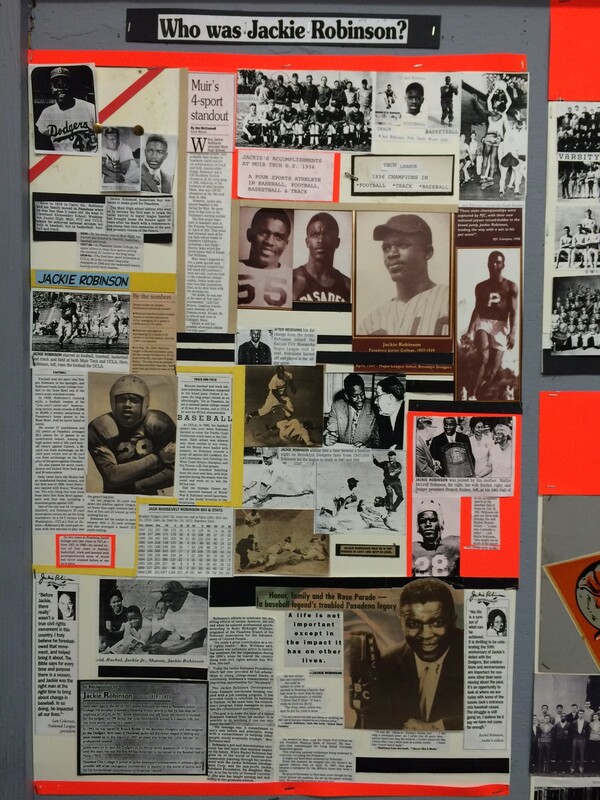 It’s no exaggeration to say that Jackie Robinson is the pride of Muir High School, just as he is the pride of the Dodgers and, for that matter, the United States. So it was a special day for everyone today when this week’s Dodgers Love L.A. community tour (presented by Bank of America) made a stop at Muir, with a screening of portions of Ken Burns’ upcoming “Jackie Robinson” documentary, followed by a Q&A featuring manager Dave Roberts and team historian Mark Langill, moderated by broadcaster Jorge Jarrin. Many of the four score students in attendance today will graduate from Muir exactly 80 years after Robinson did. 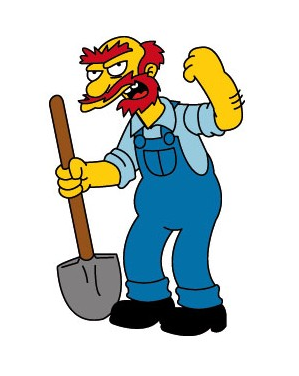 But not to worry — his story still resonates. 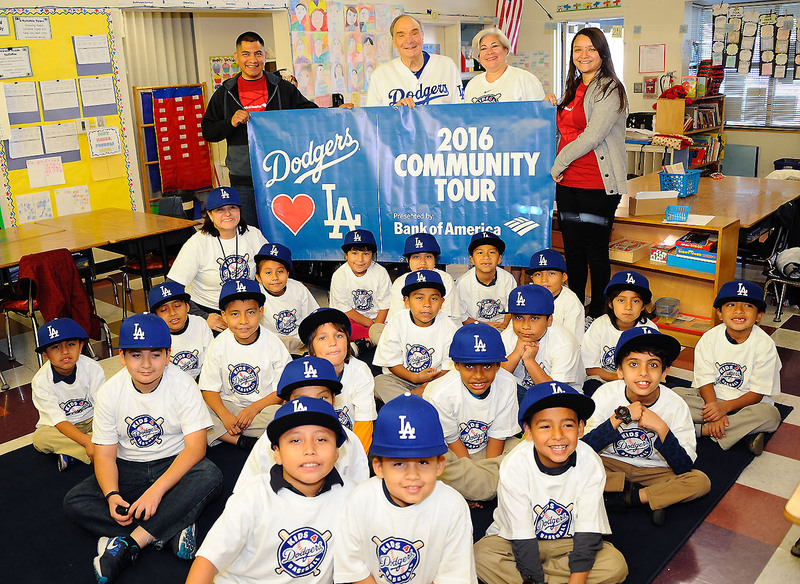 This year’s Dodgers Love L.A. Tour (presented by Bank of America) kicked off today with two events, starting this morning with a day of literacy celebration at five local schools. Austin Laymance of MLB.com has more. 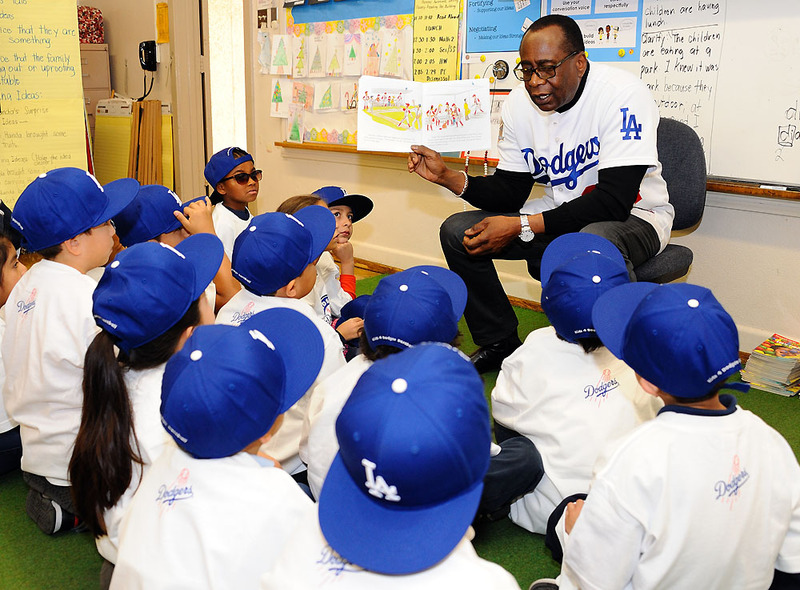 … At Gratts Learning Academy for Young Scholars, only a couple of Adrian Gonzalez home runs away from Dodger Stadium, former Dodgers outfielder Al Ferrara read “Curious George at the Baseball Game” to second- and third-grade students. 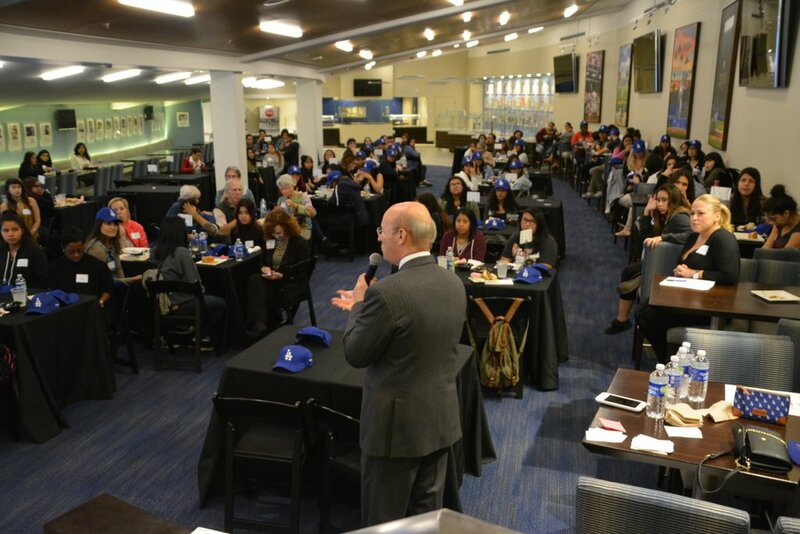 Also today, the Dodger Stadium Lexus Dugout Club hosted a mentoring lunch for students from New Village Girls Academy, in which Stan Kasten, Cookie Johnson and several Dodger alumni and front-office staff gave the students counsel about their future. 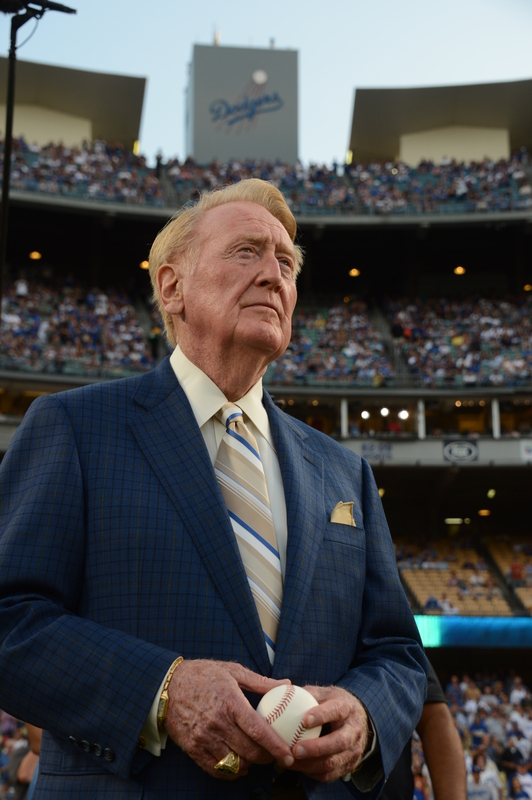 Vin Scully won two awards for best play-by-play — in radio and in television — at the 25th annual Southern California Sports Broadcaster Awards, announced today at the Lakeside Golf Club. 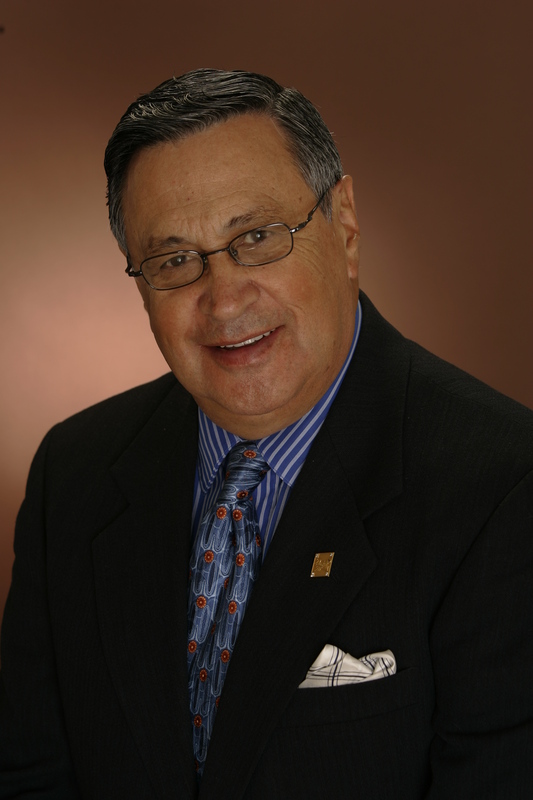 Jaime Jarrin was named best foreign-language play-by-play announcer, while Orel Hershiser was the winner in TV color analysis and Rick Monday in radio color commentary. 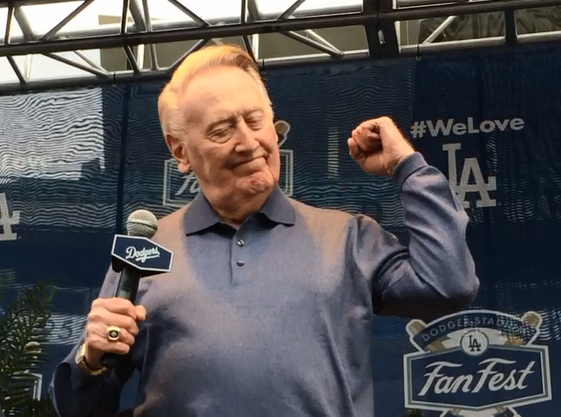 Scully, Jarin and Monday are all in the organization’s Hall of Fame. Jarrin won his ninth career award since foreign-language broadcasters were first recognized in 2003, and Monday his fifth. 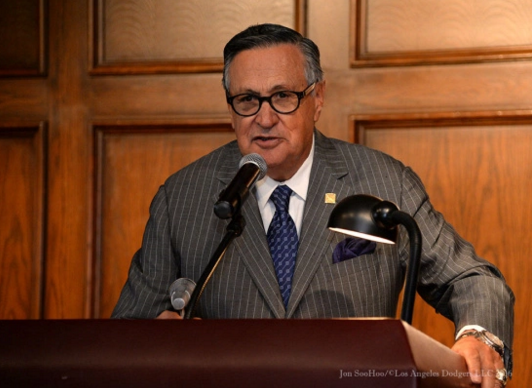 Ann Meyers Drysdale also received a special award, the Chuck Benedict/Stu Nahan President’s Award, while former Dodger executive Tommy Hawkins won the Gil Stratton Lifetime Achievement Award. 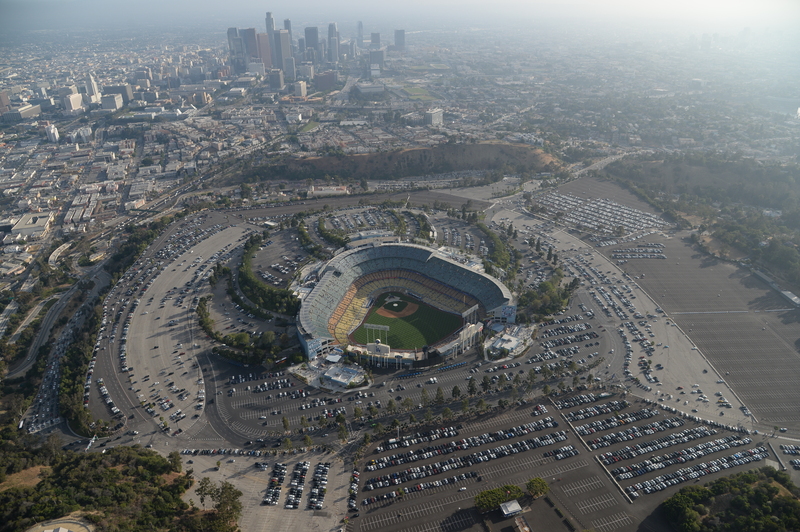 and, of course, tour the host ballpark. and (this one’s worth the price of admission, if there were admission) mowing patterns.